It is often said that the best comparison to a fuel cell vehicle (FCV) is to that of a plug in hybrid electric vehicle (PHEV), or better still, an extended range electric vehicle (EREV), like the Chevy Volt. Why? As we know, the Chevy Volt is one of the only plug in hybrids that can operate as a pure EV, regardless of vehicle speed or throttle position. The plug in Prius can not do that. As such, this gives the Volt the ability to compete when it comes to reduced GHG emissions. 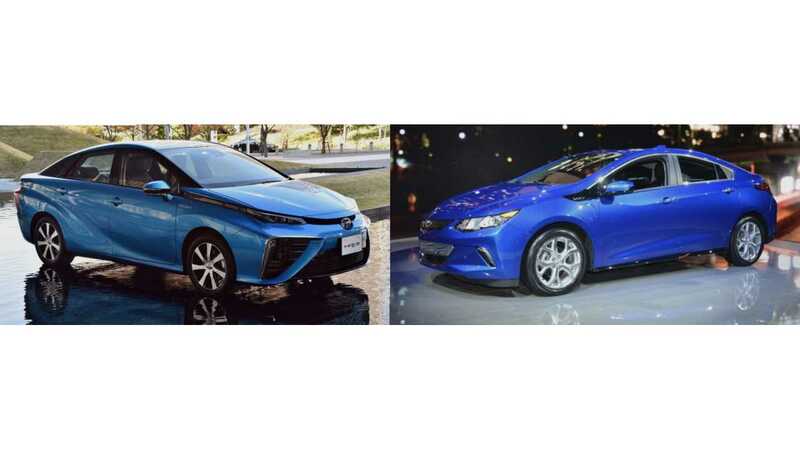 So, with the introduction of the Toyota Mirai, this is a comparison that is just dying to be made. When we look at future technologies, we sometimes get lost in the theory. This head-to-head comparison brings it home. Range/Economy: The MY2016 Chevy Volt gets 106 MPGe for the first 50 miles making up the majority of driving needs accessing the common 120V electric outlet. After that, the Volt utilizes the 100,000 US fueling station infrastructure to completely eliminate range anxiety at 42 MPG for an additional 370 miles, for a combined total of 420 miles. The Volt stats indicate that trips outside of 50 miles are under 3%. This is based on over a billion Volt miles driven. 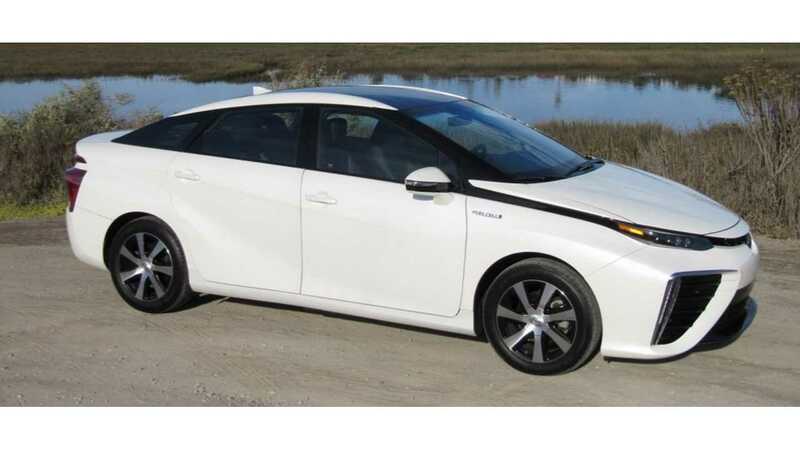 Toyota Mirai gets EPA rating of 67 MPGe with 312 miles total range. Currently the Mirai is confined to either California or the Northeast where there are plans for a total of 68 stations in the US through 2016. Fuel time: The Volt charges in 13 hours on a 120V circuit and 4.5 hours on 240V. This time is generally absorbed while sleeping or during work hours. Charge time comparisons are often made between the FCV and a pure electric BEV to point out limitations in long distance travel. For an EREV like the Volt, you are always ready to go with a stop at your local gas station for another 370 miles. The Volt daily charge cycle reduces the overall stops for fueling, thus requiring by far the least amount of time for fueling/charging. 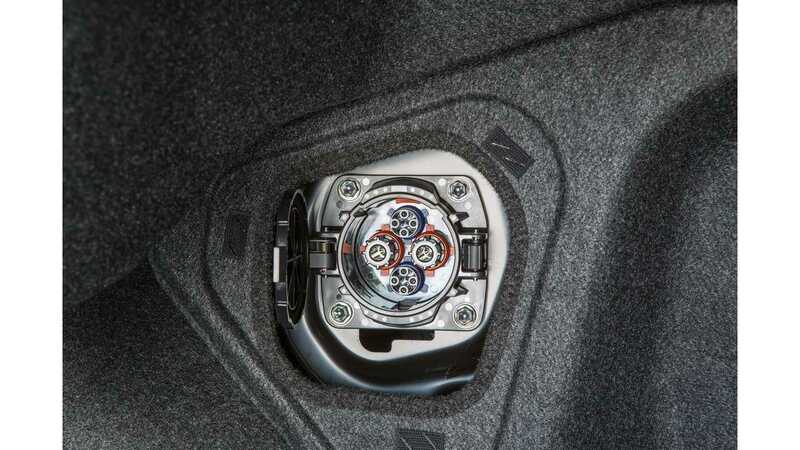 The Mirai is stated to have a 3 minute fuel time. You do however have to consider the time it takes to get to your nearest hydrogen station and the time it takes to get back to your destination for up to 300 mile range between hydrogen stations. Interior space: Though the specs differ, the Mirai has an edge on leg room and a clear advantage on height by four inches. Toyota has yet to publish the cargo volume. The Mirai has 4 seats. The 2016 Volt is 4+1. Performance: The Volt has 294 lb-ft of torque combined with 149 hp, and a 3543 lb curb weight, providing 0-30 in 2.6 seconds and 0-60 in 8.4 seconds. Top speed 98 mph. Mirai has 247 lb-ft of torque combined with 153 hp, and a 4078 lb curb weight, providing 25-44 in 3 seconds, 0-62 mph in 9.6 seconds. Top speed 111 mph.  Green House Gas Emissions: Who is the greenest? The answer varies depending on driving patterns and energy sources. We will attempt to help describe the differences in GHGs using calculations provided by George Bower. Currently, Chevy Volt owners have driven 1,118,791,093 miles with 698,881,995 electric miles or 62% electric. The 62/38% mix is used in the four Volt comparisons of GHGs produced over 12,500 miles. Getting at the actual number comparison is quite complex, but the computations above are revealing. At first glance, a Volt running 12,500 miles on the current grid mix compared to the Mirai running on the current steam reformed hydrogen look comparable at (3,063 kg to 3,145 kg). The glaring error in the Volt number is the large number of solar adopters that are offsetting the GHGs. Also, California is requiring 30% renewable methane from water treatment facilities and other methane generating operations, lowering the footprint for the Mirai. If future hydrogen use is offset by 30% renewable methane, it will still fail to miss the current 30% blend of solar adopters combined with the current US grid mix giving (2,150 kg to 1,878 kg). In fact, a solar offset EREV trumps everything environmentally other than a solar offset BEV. Looking forward, the EPA has recommended coal reductions in the current electric grid mix. The above numbers are based on earlier 38 mile AER Volts. 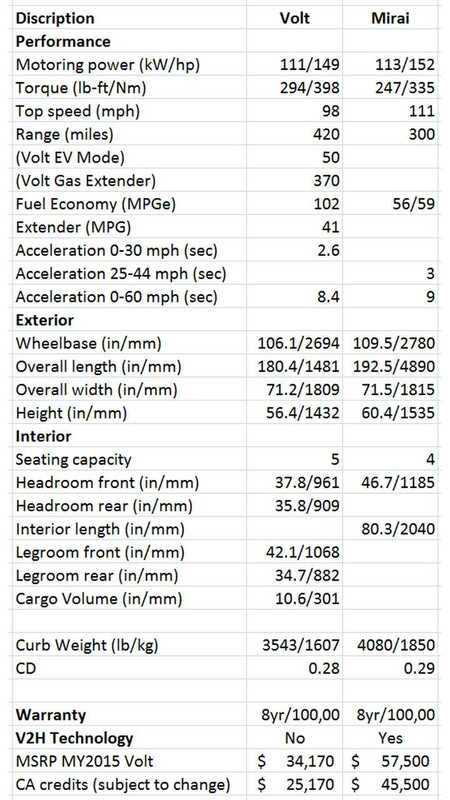 The MY2016 50 mile AER will move the Volt toward a 70/30% AER mix. Combine that with a rising number of solar adopters, as well as citizens paying a small percentage more on their power bill to purchase green energy, and the Volt keeps trending toward more GHG reductions. With the majority of hydrogen being supplied by companies like Shell, BP, and Exxon, it is likely that we see substantial amounts of natural gas recovered by hydraulic fracturing as 70% of the reforming agent of hydrogen for decades to come. Warranty: The Chevy Volt provides 8 year/100,000 mile warranty on the Voltaic system, which includes the battery, inverter, right down to the Level 1 EVSE. The Chevy Volt provides 3 year Onstar coverage. In CARB states, the Votaic system warranty is 10 year/150,000 mile and in most CARB states 15 year/150,000 miles on emission related parts. 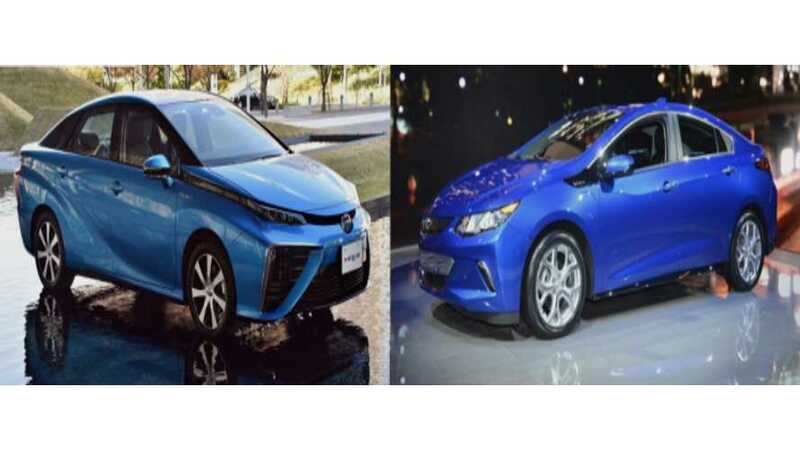 The Toyota Marai provides 8 year/100,000 mile coverage for the hydrogen fuel cell components. The Toyota Mirai includes 3 year Safety Connect including hydrogen station map app. Also CARB state compliant. The Toyoa Mirai also provides complimentary hydrogen fuel for 3 years. In the 12,500 mile comparison, this is equivalent to $1,800 in fuel savings over the Chevy Volt using the Volt stats average of 62/38% mix for the first 3 years. After that, this average combination of electric and gas will make the Chevy Volt more economic to operate annually in the remaining years. V2H: The Toyota Mirai gets the win on this clever feature supplying up to 9 kWDC power from the car (via CHAdeMO) to the external inverter (an optional power take off (PTO) device), which will turn it to AC and enable the car to power electrical appliances or maybe even a whole house. With a full tank of hydrogen, Mirai should be able to provide approx. 60 kWh of energy. 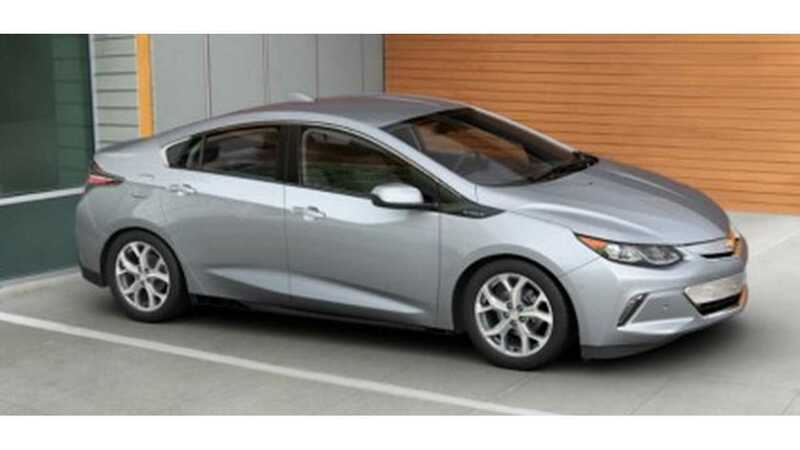 The Chevy Volt’s design lends itself easily to this capability, so how about it GM? The Mirai will always have the advantage here due to no release of carbon monoxide in the process. Safety: We give safety a tie. Past Chevy Volt models have received a five star safety rating. With over a billion miles driven on the Chevy Volt, the minimal number of safety related incidents has lived up to this rating. On fires: The last reported US data show 90 fires per billion miles for all light weight vehicles. With the Chevy Volt reporting only 3 fires in their first billion, this is most impressive. Toyota Mirai, we are giving you a tie, though you have a lot to live up to on this one. Range Anxiety vs Range Confinement: When it comes to the Marai, you are tied to the pump: both the location of the pump and the quality of the fuel at the pump. Driving California interstate corridor will soon be FCV accessible, but maybe not a round trip adventure to visit the Sequoia National Park. Convenience? For California, there are 20 public hydrogen stations, with plans for 28 more through 2016, and possibly 75 by 2020. Unlike an EV that charges 90% at home, one must make regular commitments to these locations. If compared to the 16,000 California gas stations, one can see that FCVs are still targeting densely populated areas with some degree of confinement. To be clear, range anxiety is for BEVs. PHEVs like the Chevy Volt do not have range anxiety. Why? The Volt can be fueled from multiple sources. From the 100,000 US fueling stations, to the household outlet, to the public EVSE , but most importantly from 100% clean electricity from the ever growing solar PV installations. Not only do you have total freedom WHERE you charge/pump, you have the choice to charge at home with 100% CO2 free electricity from your own solar PV panels. Imagine covering 60% or more of your Volt's fuel for 25+ years for around $4,000, or even less for DIY solar? Conclusion: On range, economy, fuel time, performance, GHG emissions, cost of ownership, and driving freedom, the Chevy Volt is the clear winner. This comparison gives some insight to Elon Musk's comments that the choice will be obvious. Even if we subsidize staggering amounts of money for hydrogen stations in order to match the convenience of the existing infrastructure of 100,000 fueling stations, and the MSRP is brought down to match, pure FCVs will not be able to compete with the reduced fuel time or the annual fuel cost savings offset by charging of an EREV. There also is no clear path for FCVs to have less GHG emissions than a 50 mile EREV like the Chevy Volt. Toyota has declared hydrogen to be the future and has hailed the release of the Mirai (translate - future). We now have the opportunity for a head-to-head comparison.